The lovely personal trainer and I are heading to California for a week to enjoy some sunshine, friends, wine, and perhaps…dare I say it… golf!!! And, we may even fit a little antiquing in as well. If any corkscrews are discovered along the say, I will report back here. 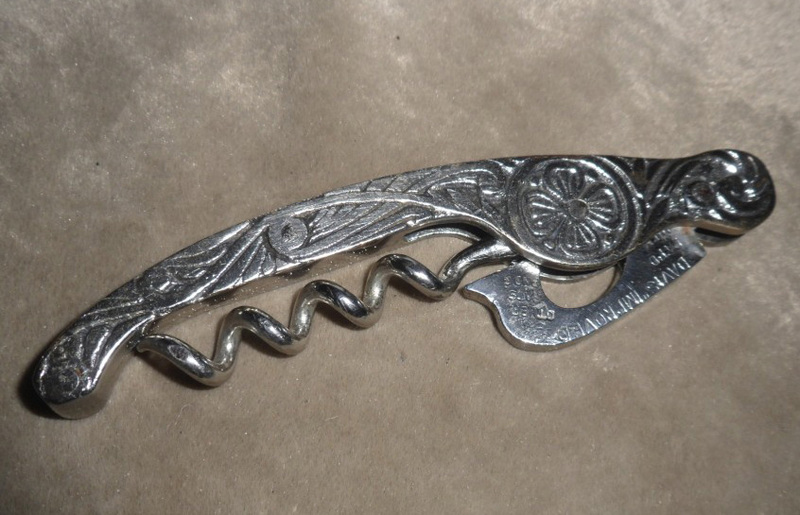 Speaking of…the decorative Improved Davis / Puddefoot corkscrew arrived in the mail yesterday, and it is fabulous. While I have never been one to want to wake at 3 in the morning, to shuffle down to a department store, only to wait until they open their doors at 5 in the morning, so I can elbow my way through the crowds to get some random household item at deep discount, I see the allure of getting one’s xmas shopping done early. 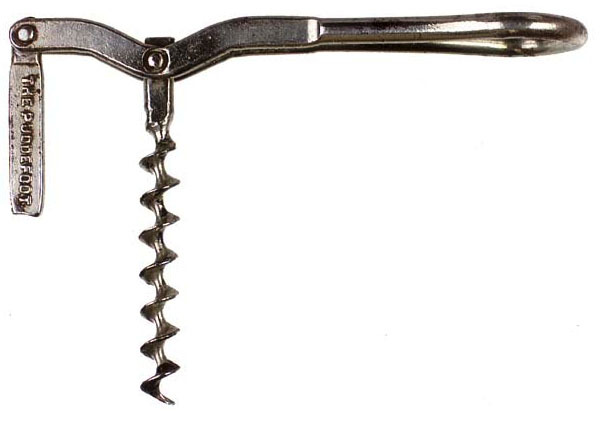 That said, as this morning starts Black Friday, I might as well make some corkscrews available for sale for those that won’t find one at Target/Walmart/BestBuy or similar, but want to give themselves a christmas pressy. If you would like to ring in Black Friday with a screwy treasure, email me at josef@vintagecorkscrews.com and we can work out price, payment, and shipping. 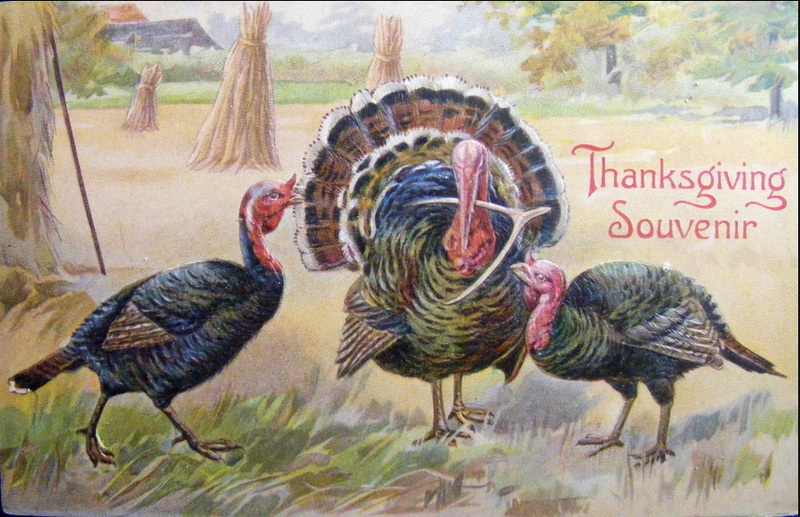 Okay, I know it is a vintage postcard, but don’t you find the turkeys with a wishbone in their beaks a little disturbing? After seeing the picture, I thought about what the offer should be. Should I go a little low? What price is the TWJ going to accept? I started to respond with an email, and then refrained from sending it. What is the “right” price. After a bit of contemplating, I upped my offer, and sent off the email. Suffices to say, that my offer was countered. And, after a bit more negotiation, a deal was struck. It seems that another Puddefoot is heading to the collection. Thanks TWJ, this might make my best 6!!! 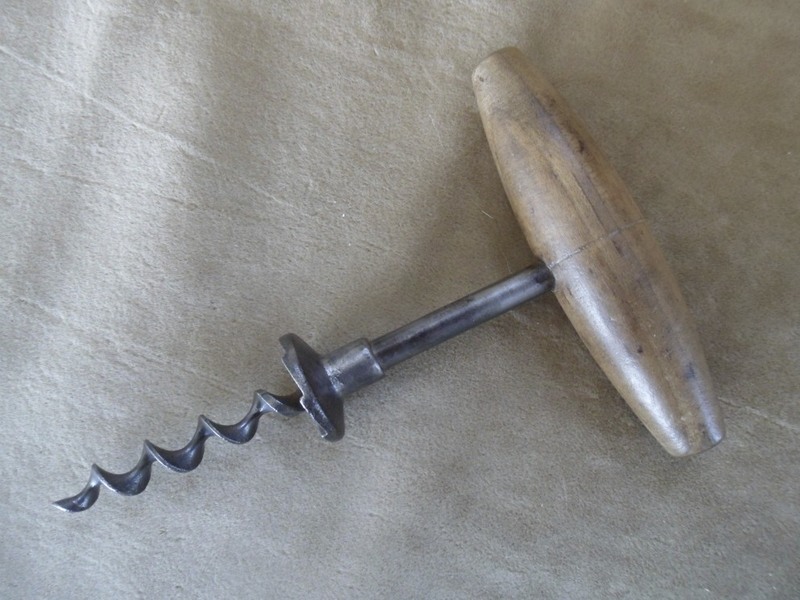 If any of you have a Davis, Detroit, Puddefoot, or Davis Improved corkscrew, drop me a line. 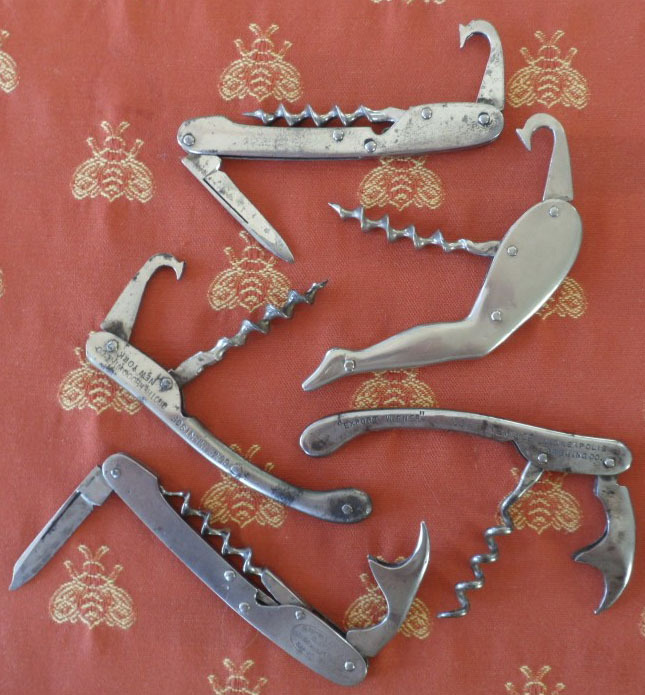 I am looking to add a few more to the collection, and have lots of corkscrews (and openers) to trade. I would definitely like to pick up this one, if you have it!!! 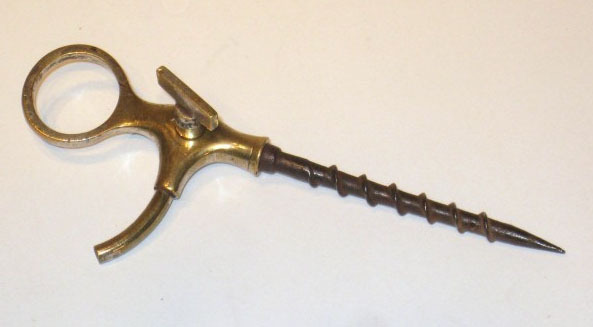 For the past week, I have been keeping my eye on a champagne tap on an online auction site (not eBay). And, a few days ago, I placed a bid, figuring that I would not be home for the live online bidding. As it happened, we have company in town, and spent most of the day wandering around the island, installing a new granite bench behind the apartment on the pond–we actually had a boom truck install the bench, but we helped by telling them where to put it. And, after touring the island, we headed back to the house. And, lo and behold, the auction was two lots away from the champagne tap. So, while the company was checking their iPhone, I was prepared to up my bid, if necessary. And, an interesting champagne tap will soon be added to the collection. Speaking of corkscrews, the Detroit leg arrived today, and it is fabulous; making for a nice little collection of Puddefoot/Davis corkscrews. I would love to add a few more. If you have a spare, let me know!!! As fortunate would have it, a fellow collector had somehow heard about my desire to build the detroit/davis/puddefoot collection, and after a couple of emails, a deal was made. 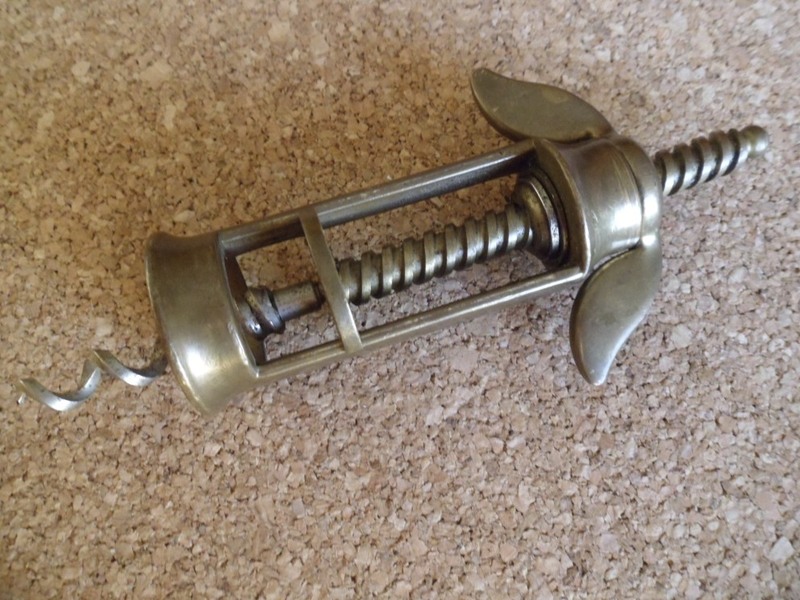 I have long wanted this corkscrew, and it will make an excellent addition. The lovely and I head down to Boston for a couple of days, starting tomorrow. Hopefully there will be a little antiquing along the way. If anything turns up, I will report back here! The first round of the ICCAuction ended yesterday, with round 2 starting at one o’clock today. And, there were some awesome corkscrews that brought awesome prices, with the Samuelsen Patent bringing in just north of $30,000.00! 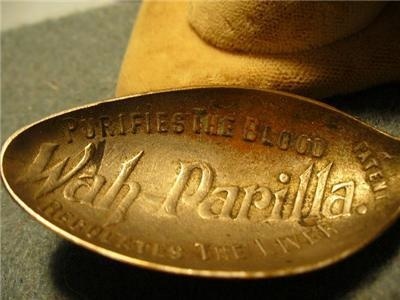 There were many other corkscrews that went for big money, and seller’s paypal accounts have been swelled. Of course, this was only round one. And, we have 738 more lots to go. Will something surpass the Samuelsen? I did bid on a couple of pieces, but only ended up with one. Still, I do have my eyes on a couple of corkscrews ending today, and hopefully Mr. Moneybags will not be bidding against me. What did I win, another Frary. It is technically a double, but as it was slipping through, I figured I would give it a good home. As many of you are already aware, but just in case you aren’t, the first round of the most recent ICCAuction will be ending as of one o’clock (east coast time) today! 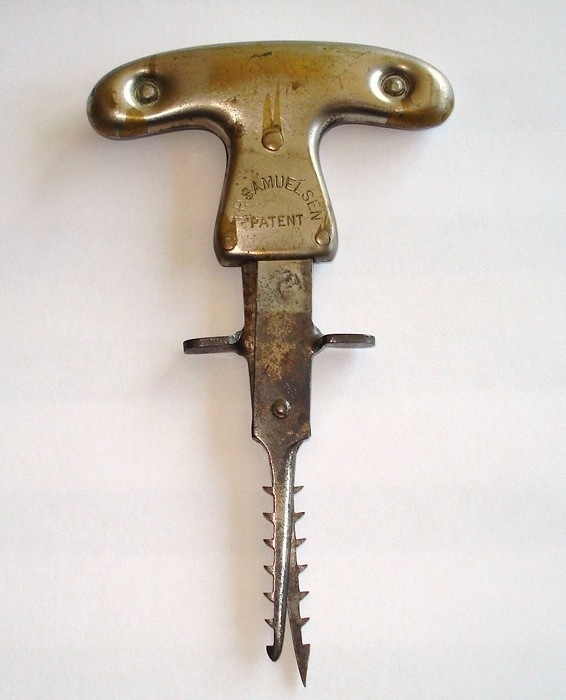 I will definitely be going after a couple of the corkscrews listed, although it seems I keep getting email messages saying, “A user has outbid you for item / Un utilisateur a surenchéri sur vous pour le lot…” followed by a description of the corkscrew which I quickly link to, and place another bid. 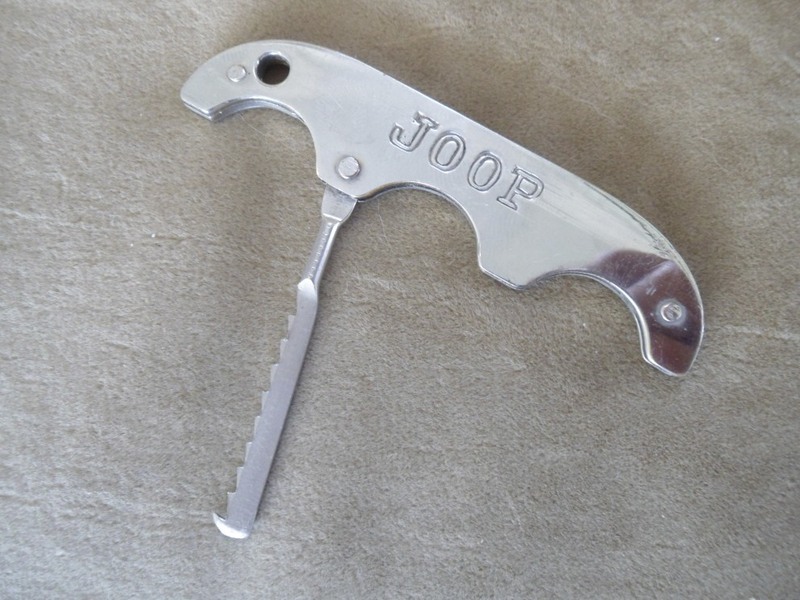 After striking a deal for the JOOP +1, and a few small purchases on eBay, I have been anxiously awaiting their delivery. And, as it happened on Thursday, several packages were waiting for me at the post office. I was most excited to see the JOOP. From the pictures it looked like the gripping teeth might be short, but the seller assured me it was in nice shape. And, he is right. It is fantastic! 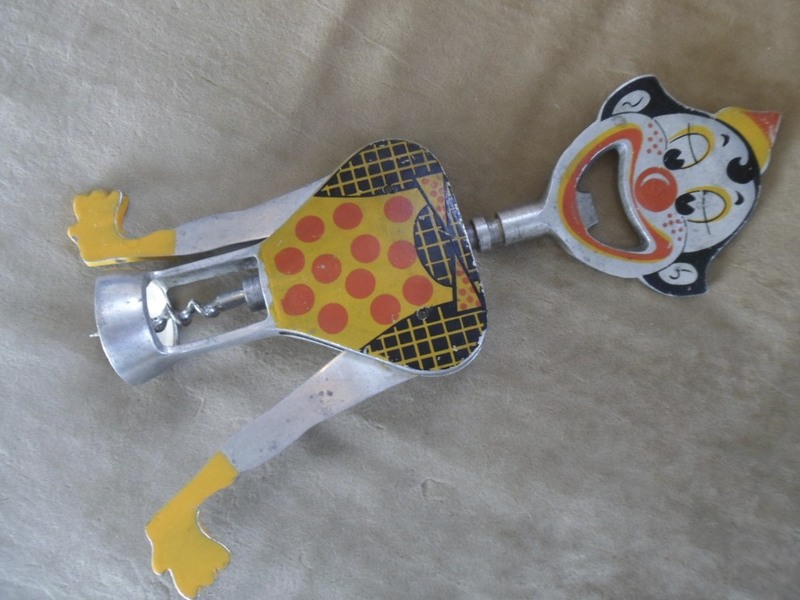 Accompanying the JOOP was this interesting bell assist corkscrew. 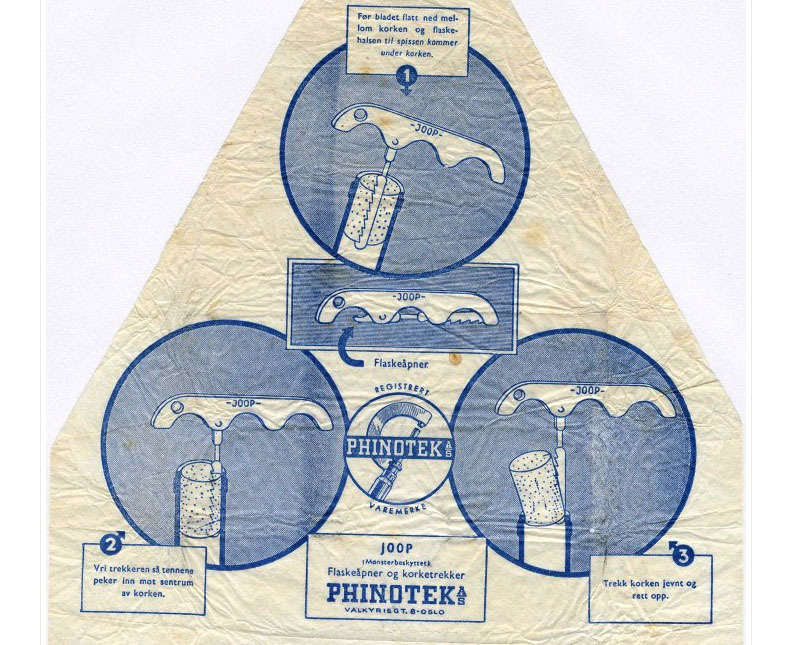 I have yet to find a reference for it, but did see that in the past one sold on a previous ICCAuction for a fair amount. No markings, but it looks familiar…. And, there were a couple of other arrivals, a H & B direct pull with blade. A Gemelli clown which will likely hit eBay, unless someone would like to trade for it. 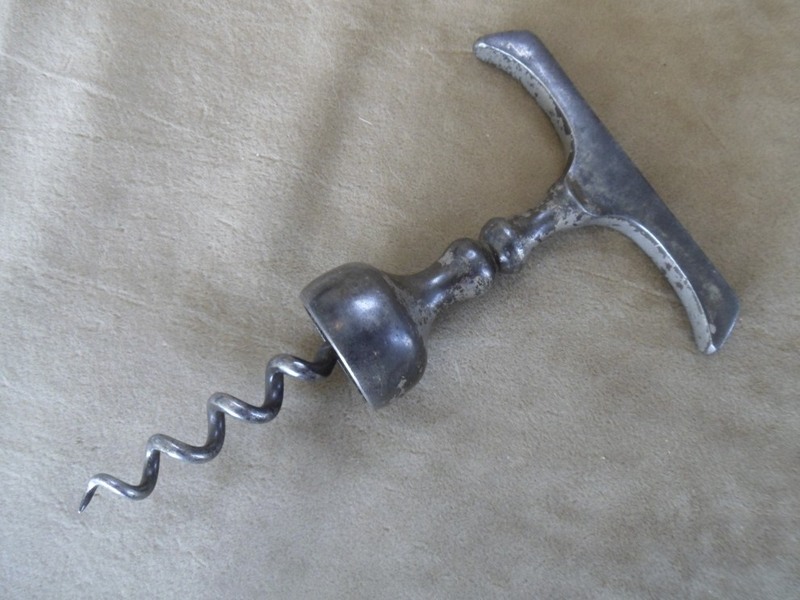 And, finally a nicely marked Murphy button corkscrew. This one is a double, so it too will be available for trade, should anyone want to make an offer. 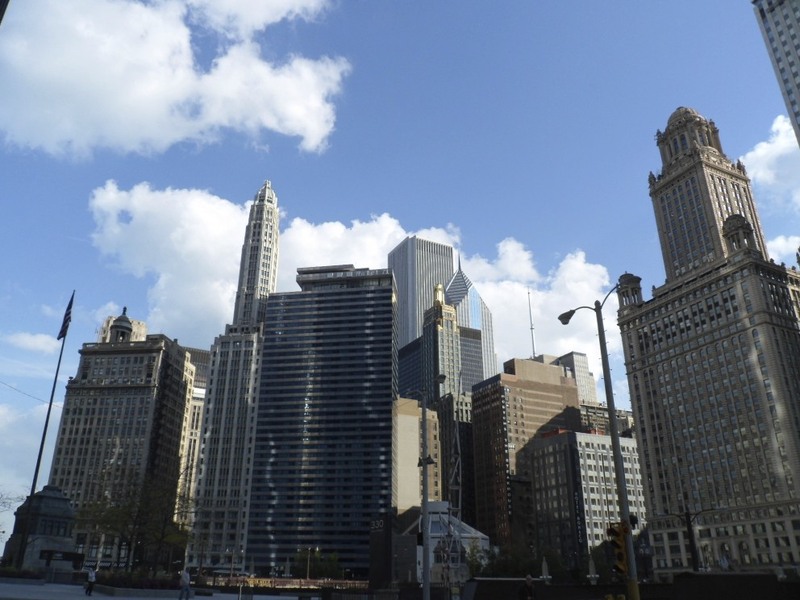 The lovely bride and I are back from Chicago, and it was an awesome trip. 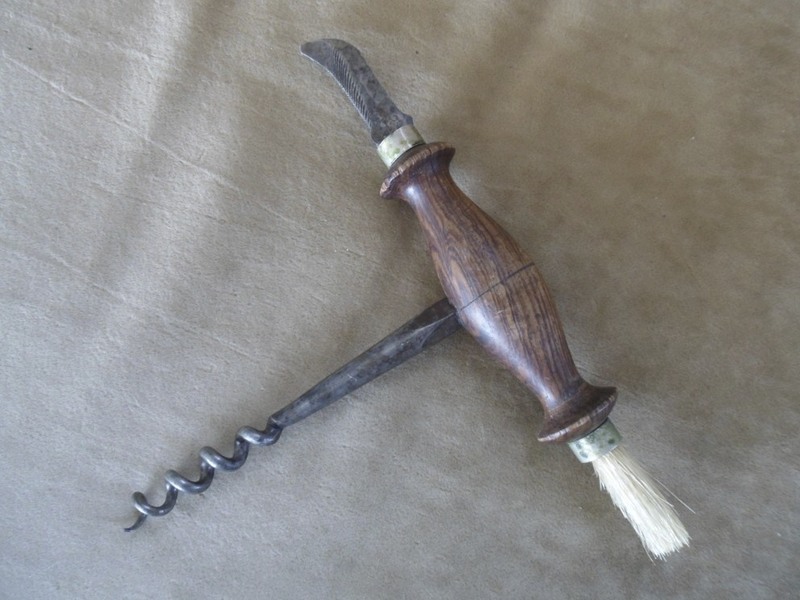 While we were out and about, the ICCAuctions began, and with nearly 1000 corkscrews up for auction, it should make for some fast and furious bidding when the end of the auctions near. You can see the listings here! 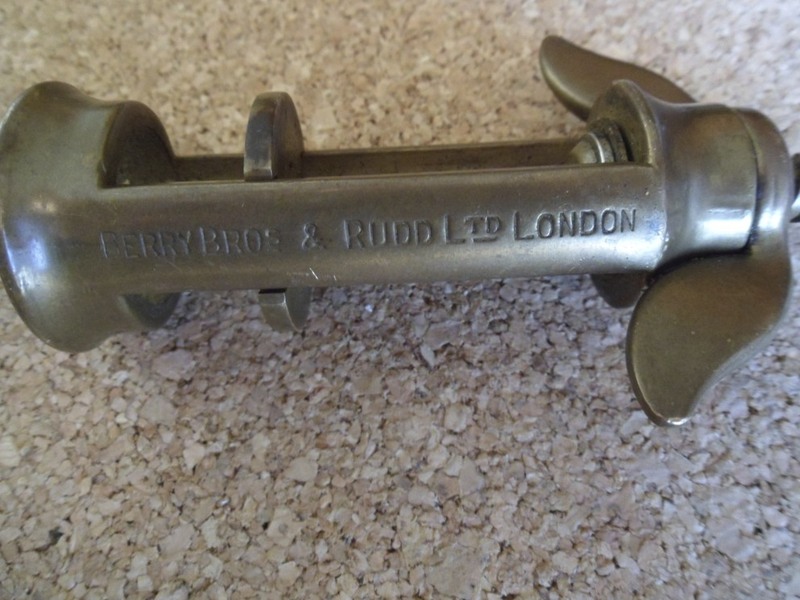 As far as recent corkscrew finds, I did pick up an interesting wingnut corkscrew that is similar to the Farrow and Jackson type, but his one is an advertisement for Berry Bros & Rudd. 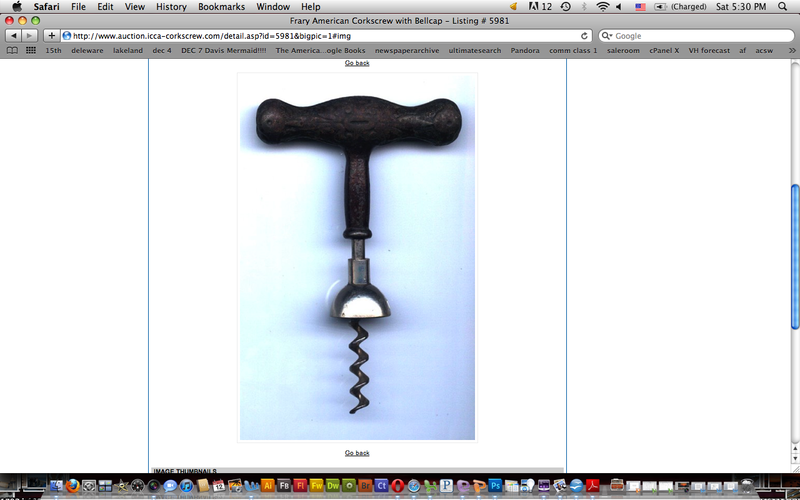 I did search Screwbase for a similar corkscrew, and haven’t been able to find one. Anyone else have this corkscrew?